In 1972, Peter Beard and Albert and David Maysles were commissioned by socialite Lee Radiziwill to film a documentary about her childhood neighbourhood in the East Hamptons. Radiziwill introduced the Maysles to her aunt, Edith Ewing Bouvier Beale, and cousin, “Little” Edie Bouvier Beale, the neighbourhood's most eccentric and notorious residents. Against Radiziwill's wishes, the Maysles wanted to focus on Big and Little Edie – faded starlets and cousins to none other than Jackie Kennedy Onassis. After Radiziwill confiscated their original footage, the Maysles returned to the aptly-named Grey Gardens to shoot their own film, focusing exclusively on the mother and daughter. The eponymously-titled film would become one of the greatest documentaries ever made, an exercise in psychological portraiture which depicted its subjects as simultaneously tragic and defiant, real-life Miss Havershams in an American gothic fable. 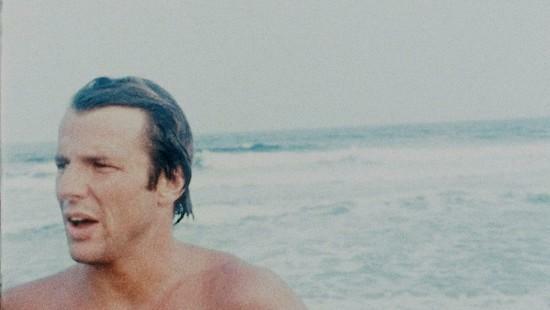 Since Grey Gardens' 1975 release Beard and the Maysles’ original footage had been kept under lock and key. 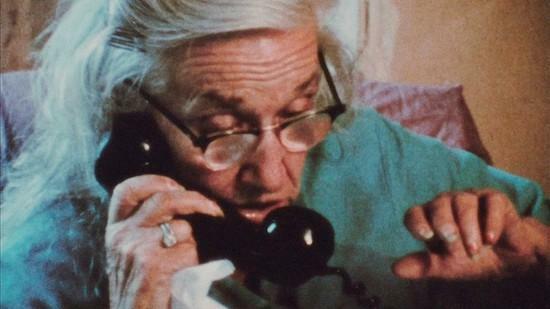 Now, documentary maker Göran Hugo Olsson has recovered and re-edited it to bring us That Summer, a sort-of prequel documentary to the Maysles’ Grey Gardens. Framed with newly-shot footage of Peter Beard taking us through a book of his career in photography, the premise is intriguing: a meta-documentary about one of the form’s most iconic films. Later, we hear Lee Radiziwill’s account of her summer spent with Beard, lusting after his sculpted body as they holidayed on his boat, dreaming of her childhood in the Hamptons. It's a story of high-society artistes and socialites; the high-minded and deep-pocketed grabbing their generous allocation of life with both hands. Archival footage of youthful, beautiful bodies, safaris in Africa and artistic endeavours is at once endearing, envy-inducing and opulent. Moreover, it creates a vastly different context from which to understand the Beales. The opening sequences beg the question, how do we move from yachts and high-flung adventures to the squalor and faded glamour of the dilapidated Grey Gardens? Just as the amateur footage of Radiziwill and Beard evoke a sense of nostalgia, so too does nostalgia draw Radiziwill back to the Hamptons, dreaming of childhood summers spent in the company of her precocious cousin and eccentric starlet aunt. And indeed, the warmth that Radziwill has for Big and Little Edie has hardly dimmed. 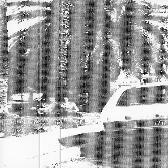 The crew’s arrival at the Beale residence, at around a third of the way into the film, is instantly recognisable to anyone familiar with the original 1975 documentary. Though, if it’s possible to believe, the house is in an even worse state of disrepair. Allegations that the fire department hosed down the inside of the house in the dead of night put tensions between the Beales and their well-to-do neighbours at boiling point. In one moment of caustic visual humour, Little Edie complains that she had nowhere else to store the 200 (!) bin bags of empty cat food tins than were in her basement, just as the camera pans over two presumably empty trash cans. It's undeniably a treat to be back in the company of two such characters. Part of the appeal of the original film was that the tragedy, the obvious mental illness, and delusions of grandeur were balanced by both women’s charisma, wit and refusal to conform. Both women are trapped in the regrets of their pasts, and Grey Gardens’ success was in drawing out their tragic and wonderful humanity in equal measure. Grey Gardens was like a real-life ghost story, but one where the ghosts can sing and dance as well as haunt. Sadly, that coherence and psychological clarity is lost in That Summer, which feels strangely less than the sum of its parts. In fact, Olsson’s film feels like exactly what it is: an assemblage of off-cuts trimmed from a more nourishing whole. There’s no doubt that the Beales’ strange company is seductive, but Olsson’s mistake is in becoming seduced by it himself. The early intrigue of a documentary about a documentary is quickly discarded once we arrive at Grey Gardens, replaced by a pale facsimile of Maysles’ original. Indeed, virtually every scene in That Summer has its more effective counterpart in Grey Gardens. Take, for example, the part in That Summer where Lee peers out at the raccoons on the roof as Little Edie croons over them. Grey Gardens has a similar, but far more shocking and meaningful sequence where Little Edie dumps a load of bread for the little blighters in the attic. The meaning of that film seems encompassed by that single image – funny, charmingly bizarre, disturbing and terribly sad. In its counterpart, the raccoons are little than a non-sequitur – either an entertaining diversion for newcomers or an empty callback for veterans of the Beales’ antics. It's difficult to imagine what audiences unfamiliar with the original documentary will make of That Summer, and certainly it’s difficult to conceive of the new film as a complete document in its own right. Nevertheless, That Summer is not devoid of interest or insight, and Beale completionists will surely clamour to re-enter the walls of the Beale residence. But it’s hard to shake the feeling that this would have worked better as an extensive blu-ray featurette. Viewed as an appendix to Grey Gardens it is admirable and thorough, if not exceptional. But as a feature in its own right, it adds little to our understanding of the lives of Little and Big Edie. Moreover, despite the reframing of Peter Beard and Lee Radiziwill as significant players in the Beale story, the film fails to offer a significantly different perspective on one of Americana's most fascinating side-notes. With an eye on challenging or differently interpreting a modern American legend, That Summer could have been superlative. Instead, it just feels superfluous.